I love a good cover, and agree completely. That’s generally what gets me interested in the first place. They are hit and miss though. Some will love a cover that others dislike. That’s true. Not long ago, a friend and fellow author was having one of his non-fiction book covers redesigned. I hated the new cover. It looked amateurish and IMO, like a cartoon. However, it was done by a professional and went on to sell a lot of copies. Had I not known the author, I would have never bought it due to the cover. Different strokes for different folks, I guess. Thanks for visiting, Craig. I absolutely agree that we DO judge books by their covers, Joan. You are so right! And yes, sometimes the content disappoints, but a good story with an equally good cover will certainly sell more copies than a good one behind artwork that doesn’t even catch a shopper’s eye, whether they are in a bookstore, or browsing on Amazon. Beautiful, intriguing, dramatic covers attract the eye, and that’s the first step toward selling the book. I agree, it’s definitely worth the investment. Great post! Thanks, Marcia. It’s worth the effort and expense to have a good cover. Thanks for stopping by today. My pleasure, Joan. I like seeing what you guys are up to, individually or collectively. 🙂 You’re an interesting and informative bunch! I’m a cover person. If it doesn’t grap me or piwue my interest, I keep looking. Great post, Joan. Confession time. I do judge books by their covers. It’s the first element that attracts me to them when I’m browsing. If I already know the author, covers don’t matter so much, but I’ve found many authors the first time by being attracted to the cover art of their book. The original cover for Still Life for Crows by Douglas Preston and Lincoln Child is what got me reading their Aloysious Pendergast series. Thanks to that series, they became my favorite authors, and it all started with a book cover….much like Mary Higgins Clark (who always tells a good tale). I know good content can often be hidden behind a poor cover, but many don’t look past that first impression. Mae, I agree. If it’s an author I know, I don’t pay as much attention to the cover. But when trying new ones, it can make a world of difference. Thanks for stopping by today. Covers are usually what spark my interest – that or the author’s name. And I remember reading Where Are The Children years ago! Teri, it’s hard to believe how long ago I first read that book. Thanks for stopping by today. Covers are tricky. Not only are there expectations in each genre, the trends change. And what used to be a good cover could now look dated and unappealing. I wish our work could stand on its own, but I realize the cover (and then the blurb) are the advertising that lures a reader in. If you don’t have good packaging, no one will know about the treasures inside. I agree with you there. It would be nice for an author’s work to stand alone. Good packaging is essential. I totally agree with what you tell us, Joan. 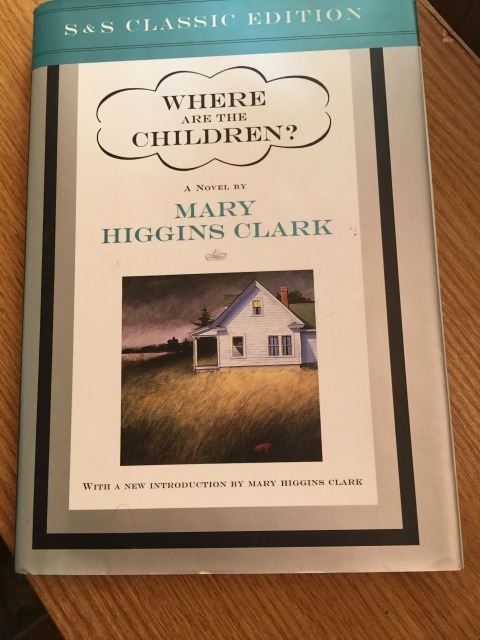 Funny thing, Mary Higgins Clark is also one of my favorite authors. I read many of her books and I understand she also wrote several together with her daughter. How nice. Yes, sometimes the cover of a book can be misleading. It happened to one of my books that had a man, naked torso, which made many think it was an erotica book. But the book was not. Some readers wrote in the reviews that it was on the conservative side regarding love scenes. It depends, many times, on the skill of the cover artist. I am grateful I found publishers who hired good artists. We have something else in common, Carmen, with Mary Higgins Clark. Reviewers are a funny breed of people. Can’t believe anyone wold automatically think erotica with only a naked torso. Romance is tricky. Some people love steamy scenes, others will turn away. Can’t please everyone, so we have to write the kind of books we want to read and trust we’ll find the right audience.